I seriously have been on a huge NARS kick lately. Ever since I got back from the Mall of America, I just can't get enough. If you watched my haul video you would have known I purchased this blush from Sephora and I was in love. Well a week ago I bought another blush as well! I seriously just fell in love and I will not stop until I get every single NARS blush out there! LOL, but today I am only going to be talking about the shade Lovejoy. Lovejoy is a shimmering bronzed rose. 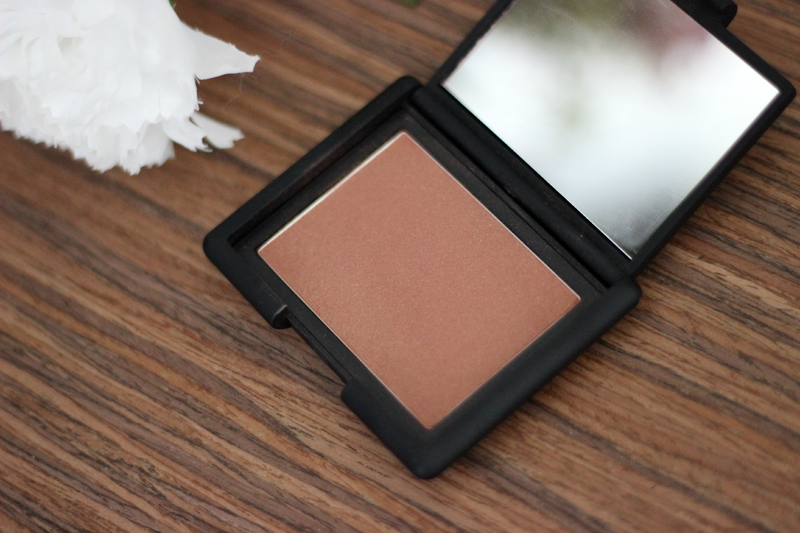 When I was in Sephora I thought the blush was going to be a little more lighter, but when I got back to my hotel I noticed it was much darker, which I was a little nervous about because I am so pale, but I ended up loving the shade. It is a beautiful bronze color that does have a hint of rose to it. It's actually a great everyday shade and looks really well on my skin tone. 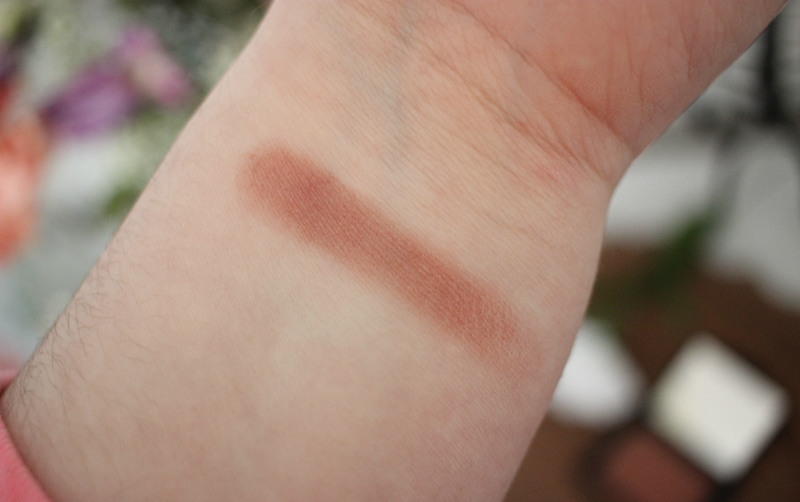 I love the texture of this blush because there was no fall out and the blush was not chalky or anything. It blended nicely and just gave me such a flawless look. The only downside about the blush is the price. 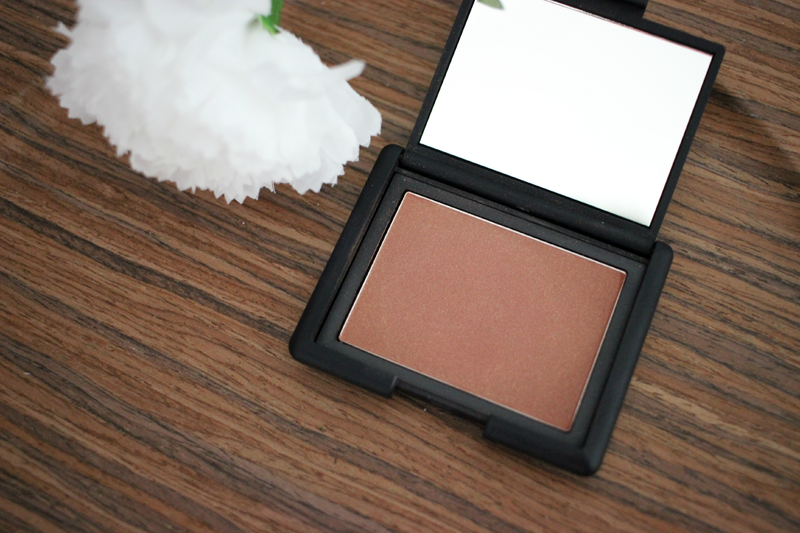 NARS is a very expensive brand in my opinion, so each blush does detail for $30.00. I often find Nars blushes too glittery for me personally but Lovejoy looks stunning! This shade looks soooo gorgeous but just like you I'm light skinned and I've bought shades like this and I get too excited and tend to apply too much! I'm glad that you can make it work, I love browns like this!